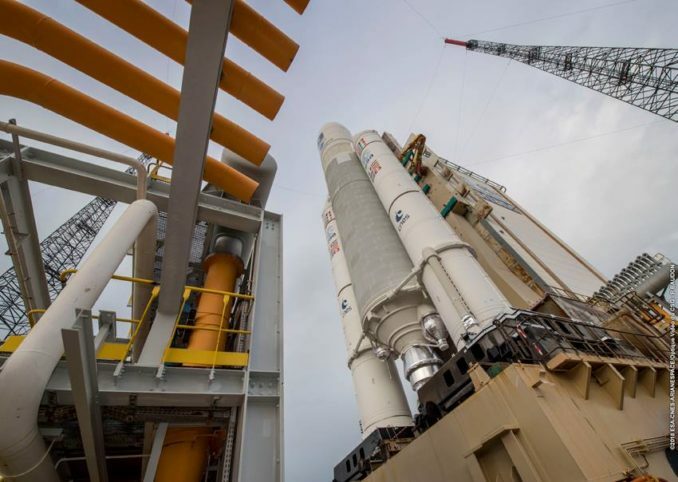 The midday rollout Monday was powered by a Titan tug, which hitched to the Ariane 5’s mobile launch platform to pull it to the ELA-3 launch pad. 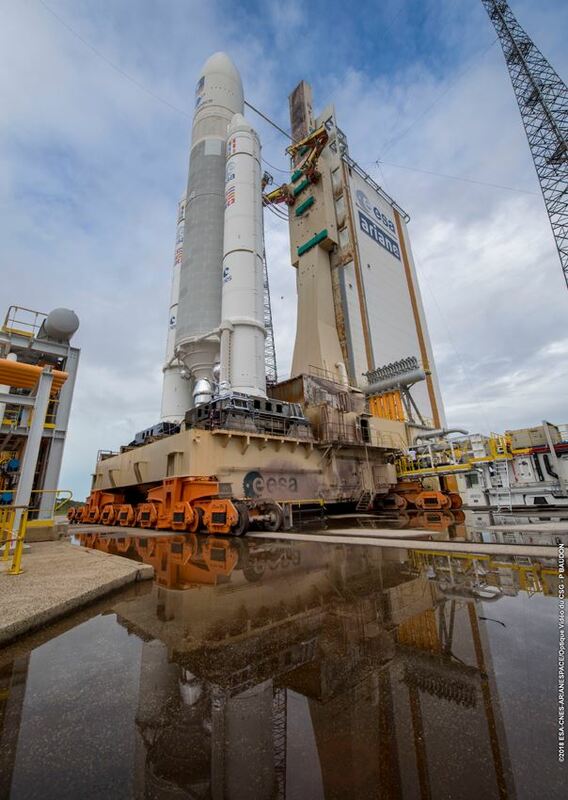 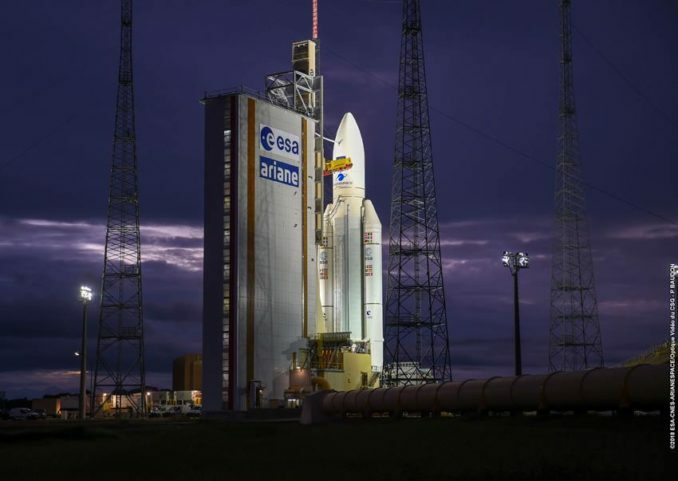 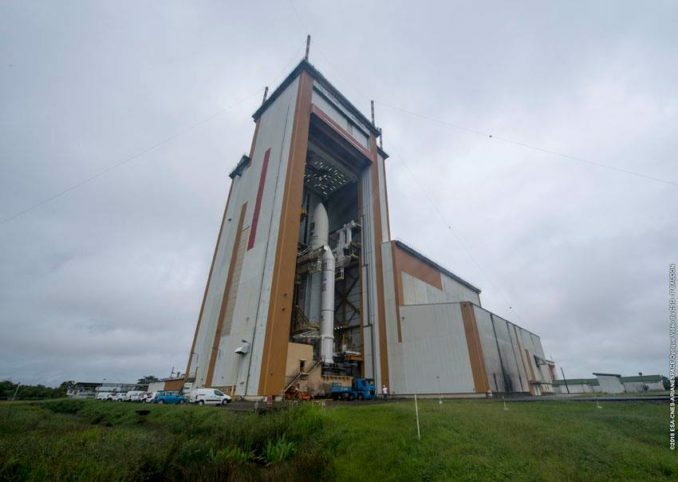 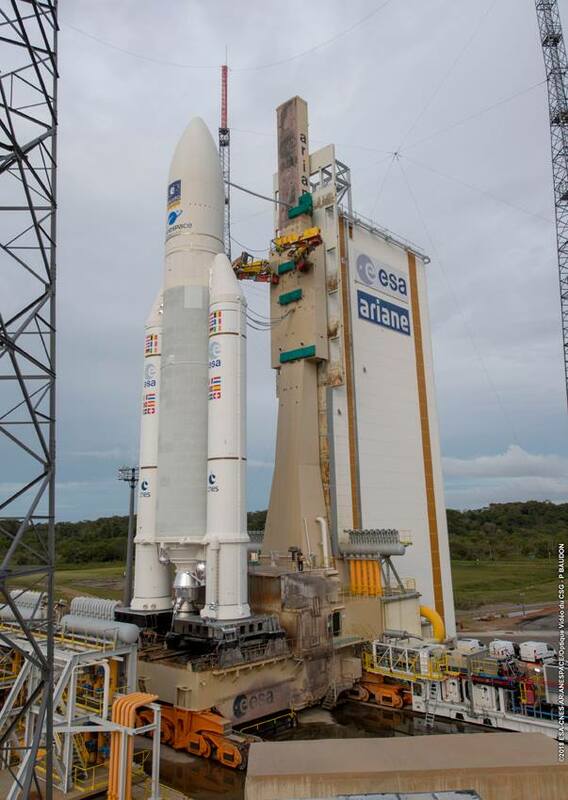 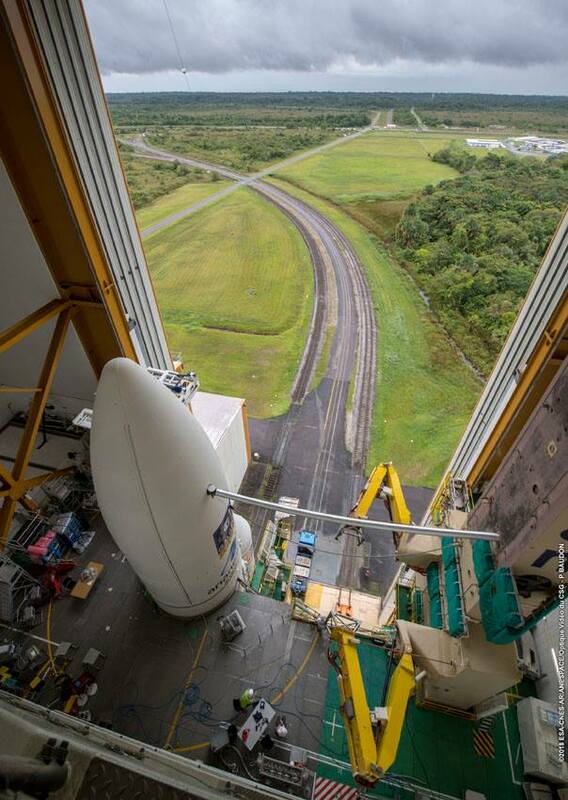 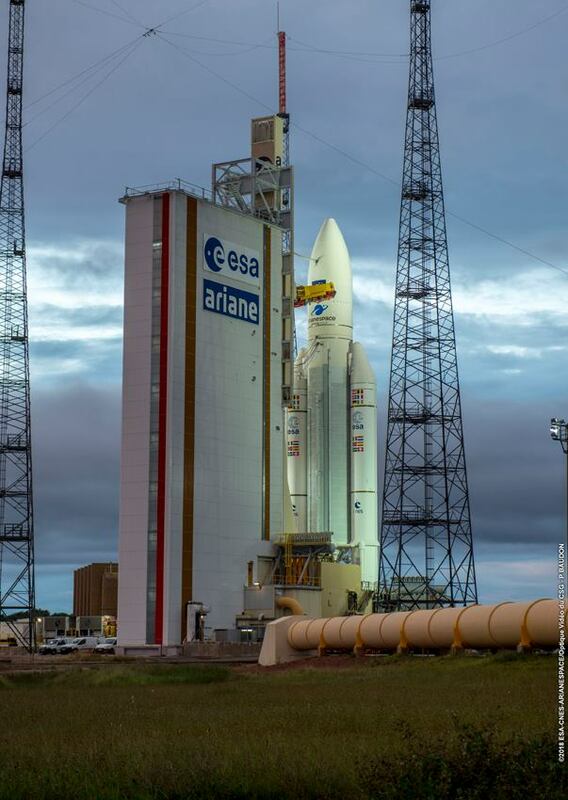 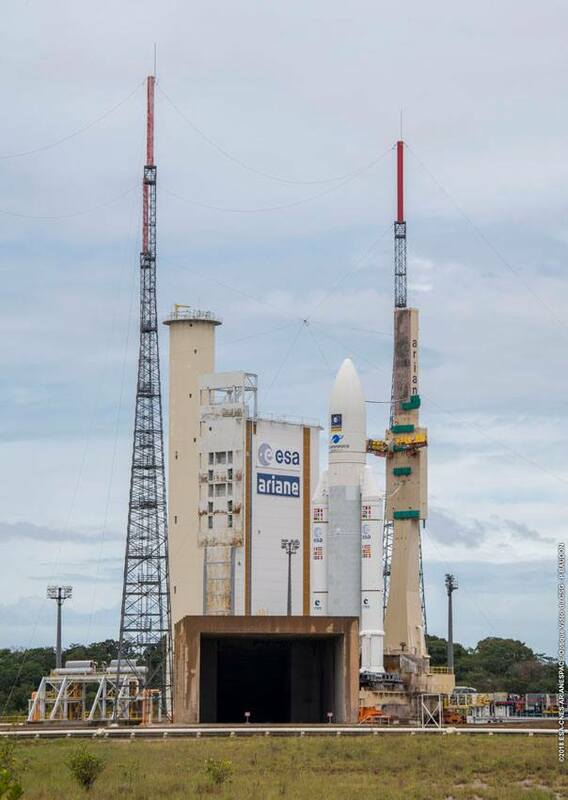 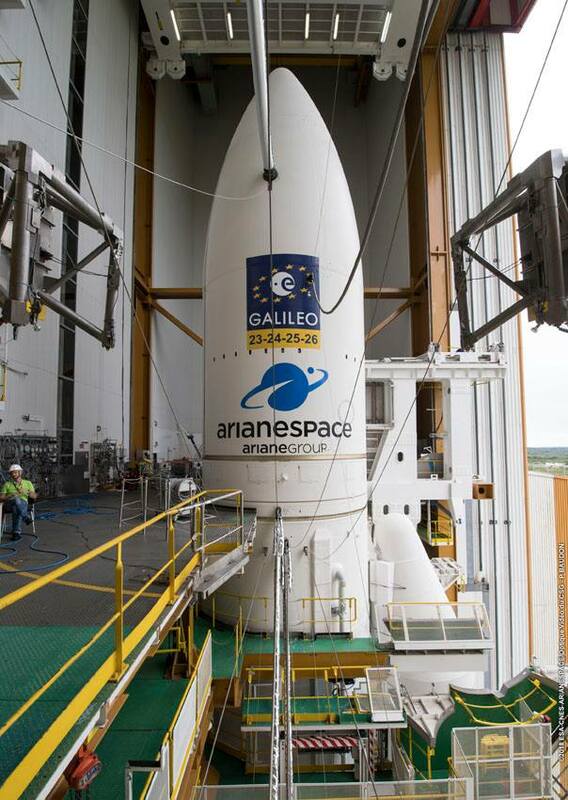 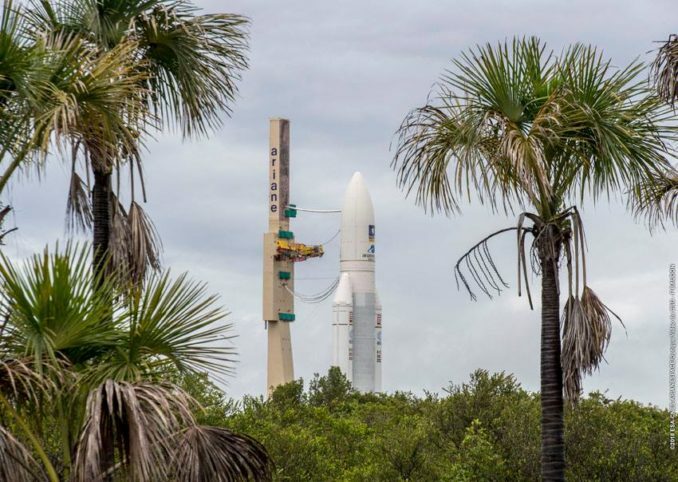 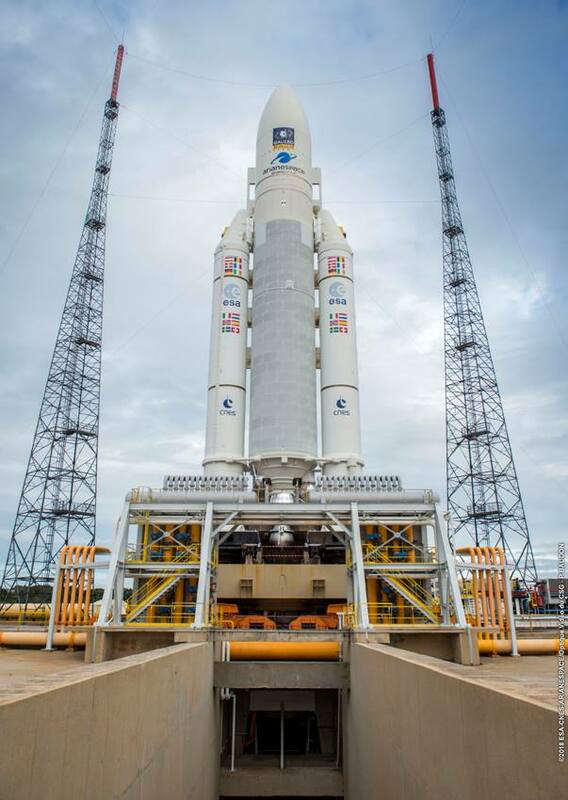 The 155-foot-tall (47-meter) Ariane 5 ES rocket is scheduled for takeoff at 1125:01 GMT (7:25:01 a.m. EDT; 8:25:01 a.m. French Guiana time) to carry the four Galileo satellites into a high-altitude orbit more than 14,000 miles (nearly 23,000 kilometers) above Earth. 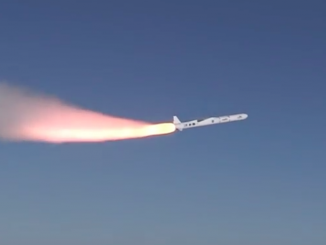 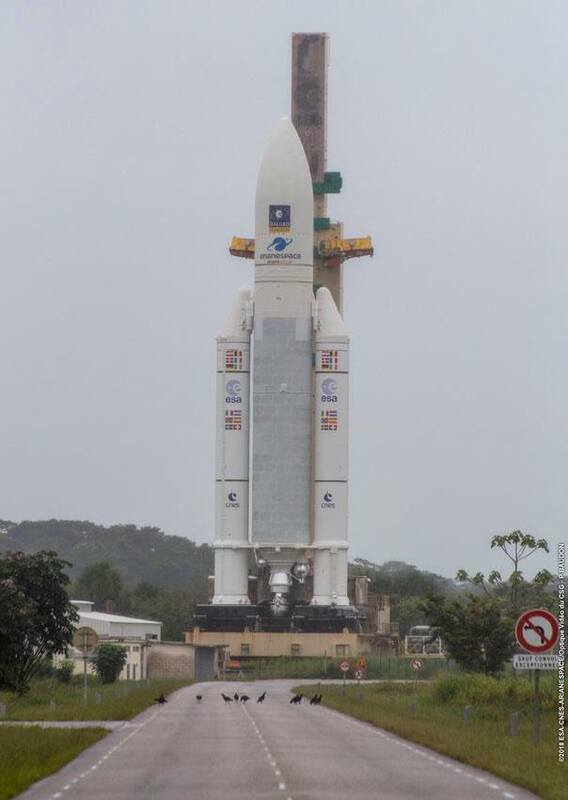 It will be the 99th launch of an Ariane 5 rocket, and the third Ariane 5 flight of the year. 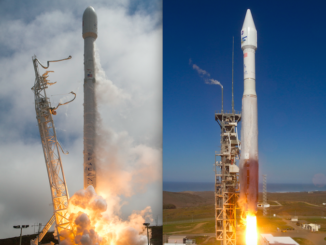 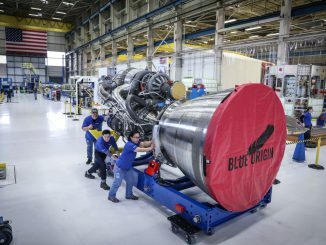 Read our mission preview story for details on the flight. 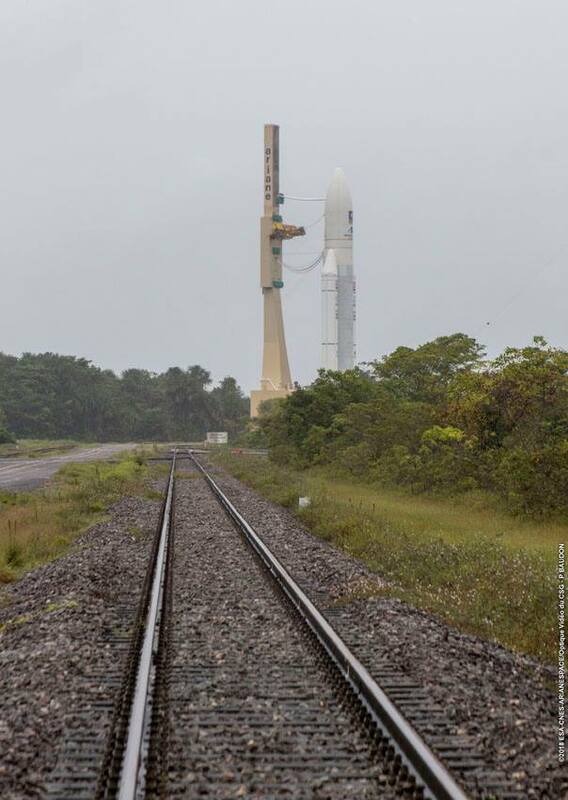 The photos below show the Ariane 5’s hour-long trip to its launch pad in French Guiana on Monday.